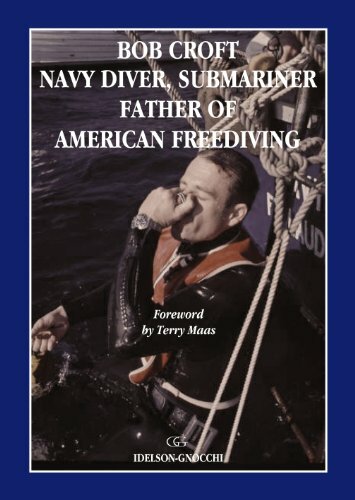 Bob Croft can be described as one of the three modern pioneers of freediving, or – as in the title of his recently published autobiography – the “Father of American Freediving”. 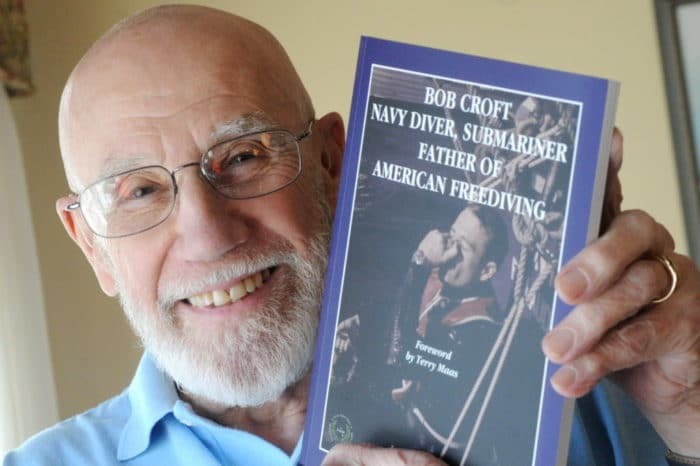 Bob began his career in the navy as a (scuba) diver and submariner, and later became a naval instructor, teaching escape from submarines. It was at this time that he began to train breath-hold in a 118ft / 35m deep tank, and discovered he had a particular talent for holding his breath. 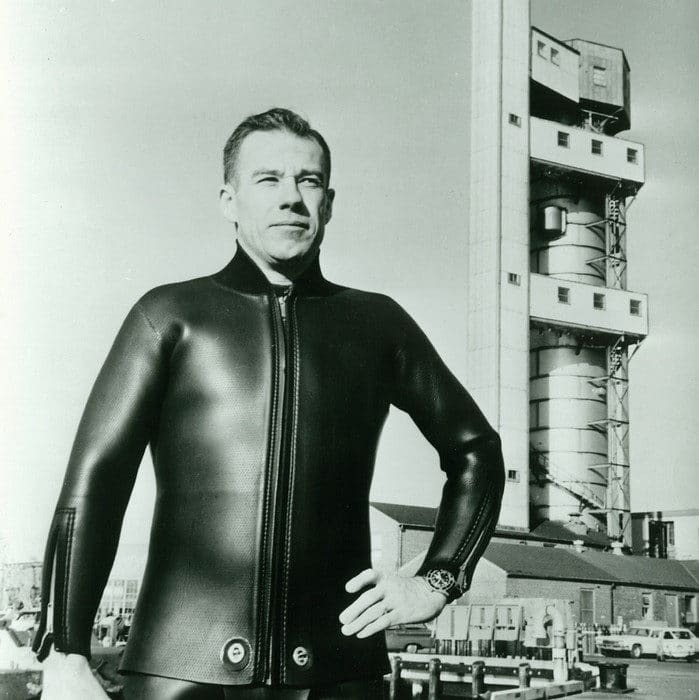 Encouraged by peers, Croft began to train greater depths in the sea and was eventually to become, in 1967, the very first person to dive to a depth of 200ft / 61m. For those starting to freedive today, this is still a challenging depth, but at that time, Croft was potentially risking his life by diving to depths that scientists believed were beyond the theoretical limits that the human body could withstand.  Croft’s competitive peers in the freediving world were the European divers Jacques Mayol and Enzo Maiorca, made famous by the Luc Besson film Le Grand Bleu. 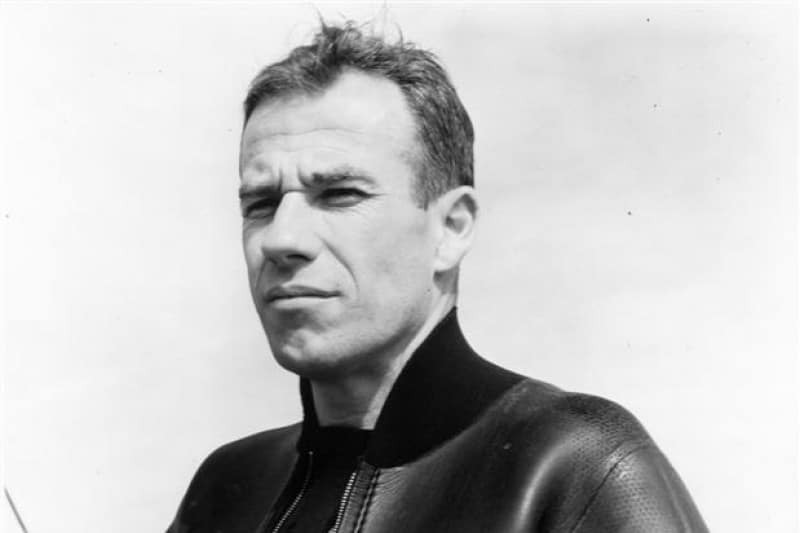 With his 200ft record, Bob beat Maiorca’s already groundbreaking 1962 dive to 50m / 164ft and went on to achieve two further records of 217ft / 66m in 1968, and 240ft / 73m, also in 1968, before retiring from freediving. Croft’s important role in the furthering of freediving didn’t end there. 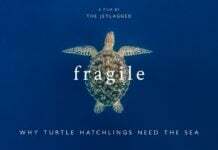 From 1962-1968, he was a research subject for Naval scientists, who discovered that the ‘blood shift’ phenomenon (the shunting of blood from the extremities to the lungs to protect and compensate for the increasing pressure and reduction in volume) occurred in humans as well as marine mammals. This groundbreaking discovery into an important facet of the Mammalian Dive Reflex, with Croft as its subject, led to further studies into the physiology of the human body, which continue today. Croft is also credited with inventing lung ‘packing’ – a method used to increase the volume of the lungs beyond their total capacity, by using the tongue to pump in more air. This is a technique that is widely used today by deep freedivers. Bob continues to have a role in the freediving world as a public speaker, and occasional judge in competitions. His interview below gives us an incredible insight into the world of a freediving pioneer, and we learn that some things have changed, but many things have remained the same. Bob Croft: The inspiration is there, BUT, I had open-heart surgery a while back and that pretty much terminated diving of any kind! BC: Freediving instructor Doug Peterson was an early freedive teacher who trained many future record setters. 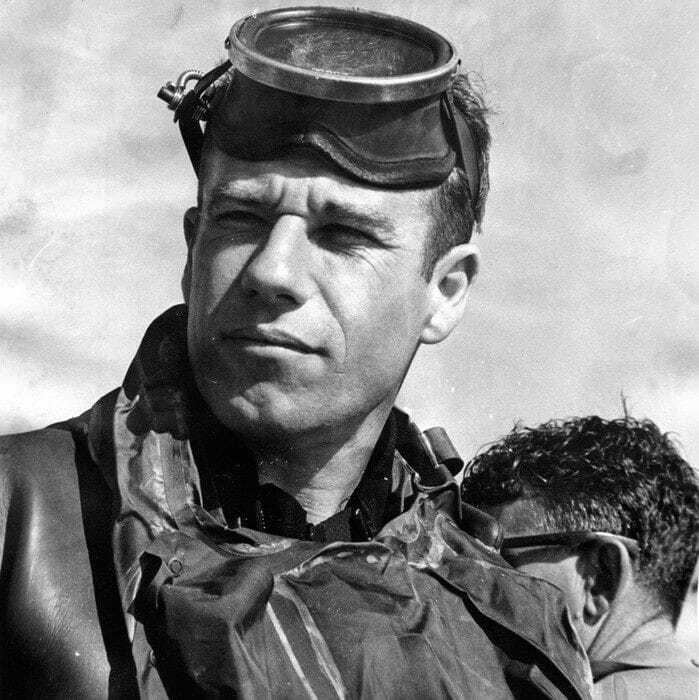 Martin Stepanek was one of those who went on to establish several world records and operates his own freedive school today. Martin is my hero. 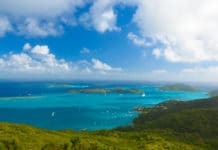 BC: They were Bonaire, Tobago, and the Bahamas! BC: There are too many to mention! However, if I could get the genie out of the bottle I would love to have a go at Deans Blue Hole (Bahamas), and Truk Lagoon (Micronesia) just to mention a couple. I do receive a vicarious pleasure reading the stories written about challenges to standing records, and the opportunity to meet today’s competitors. They are young, healthy, dedicated and high spirited. BC: Learn from the experts. Listen to their experience. When you have completed your training phase, then, and only then, can you venture safely into the deep. DB: What is your preferred form of dry training and why? BC: I ran every day. Twice a day I climbed a 25ft / 8.3m rope in my backyard building stamina and upper-body strength! This was up and down twice without touching the ground and without using my legs. For me, upper body strength was key. I taught hyperventilation and my signature accomplishment “AIR PACKING”! The safest place to practice both was in a recliner chair! This is always done with a buddy standing-by. Overdoing hyperventilation can and will lead to shallow water blackout! Details are in my book regarding air packing – it also explains how to practice it safely. BC: For me: fasting! Doing anything requiring exertion is best done on an empty stomach. Plus, food takes up space, curtailing lung expansion to a degree. BC: Most likely in opposition to other thinking, I followed no nutritional principals. In those days nutrition was not a consideration. BC: Well at 84 years old, I hope I’m still on this side of the grass in another 10 years! BC: That’s easy! I was the first human to dive beyond 200ft / 61m in a breath-hold dive. At that time the US Navy Diving Manual stated that any human that dove below 120ft / 37m could experience a thoracic squeeze and would die. The second most memorable freedive was winning the first three international competitions, all world records. BC: I recently wrote my autobiography. It has been published, and a signed copy is available through me or online from Amazon. And – Thank you for keeping my accomplishments alive in the freedive world!